Lamination of aprons Outside of side & end aprons with paper laminated, inside of side & end aprons with black PVC, Same as signed sample. 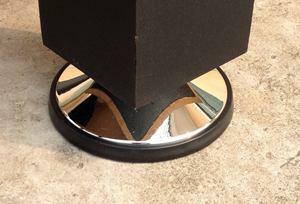 with black PVC edge. Please note the paper laminated must be double bond, 200 pounds, On the surface of the film is not easy to peeling. 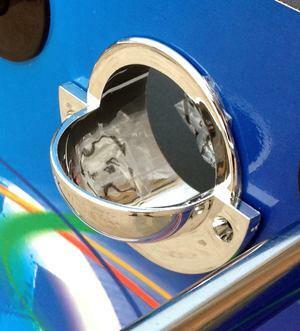 Ball entry: 2pcs plastic with chrome ball entries. postion on side aprons, 50mm dia. Postion: Distance top edge of the side panel 30mm. 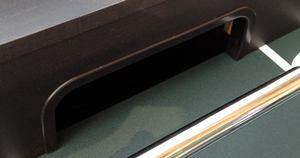 End top rail: 75cm * 10.5cm* 12.7mm Thick MDF(E1 or E0) with black PVC laminated. 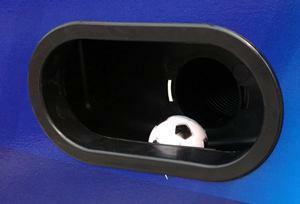 Foot ball goal: 12mm Thickness MDF(E1 or E0) goal with black paint with PVC surrounding. Apron corner Plastic apron corner. Black color. Soccer table playfield 121.4cm x 69.2cm x 5mm (Thickness) MDF (E1 or E0) with green PVC lamination & white print, lifted corner. Same as the signed sample. Playfield Support Bars 2 pieces of 18mm* 680mmMDF, pre-drilled holes. Position: Distance the bottom edge of side panel 159mm. 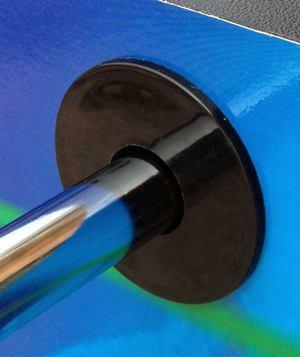 Leg support bar Dia.50.8mm plastic tube with chrome. Distance the bottom of leg 200 mm. Leg levellers 4 pieces leg levellers, 127mmcm diameter, Plastic with chrome with black PVC surrounding. Player rods 8 pieces of 15.8mm dia. (thickness 1.5mm) chrome plated hollow steel rods, 2pcs rods with 5 holes with size 1021mm L, 2pcs rods with 2 holes with size 1250mm L, 4pcs rods with 3 holes with size 1130mm L.
Stop rings 4pcs white plastic stop rings, Attached by bolt and nut. Hand grips 8 pieces PVC hand grips, black , Size:119mm L. Same as signed sample. Soccer accessories 4 balls - Black/white 2pcs, White 2pcs 36mm dia. Our company is involved in manufacturing and selling the best table games and related promotional items which are exported to Europe, America, Australia and Asia. 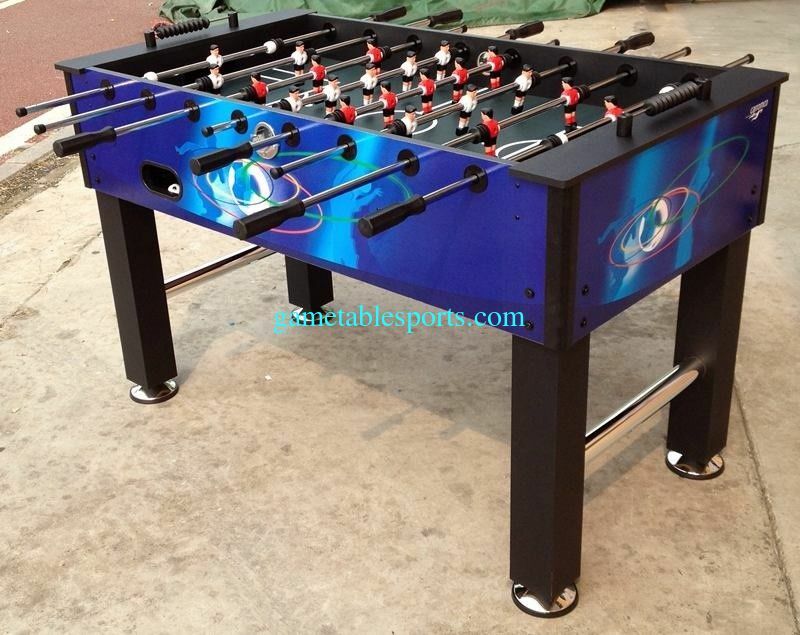 Our company owner has more than 15 years working experience in the industry of game table. 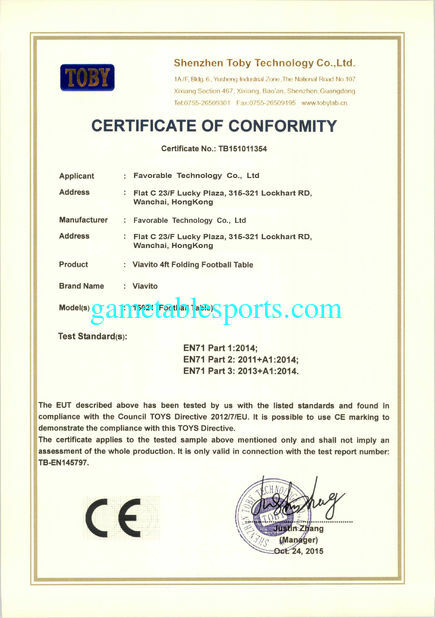 We being a shareholder within game table manufacturer in order to make the factory stronger and more capable to have advanced equipment, scientific management, top quality and quantity to deliver goods to our customers on time. We have a very good reputation with our clients based on their experience of excellent quality, prompt shipment, competitive prices and after - sales service. We are a professional game table supplier. We are committed to your 100% Customer Satisfaction! We do our best to process your order with care and to ensure that your needs are met with the utmost satisfaction. We have a great selection of game table products that are typically hard to find from other suppliers. We provide the best selection, best quality and the best price. Our promise to our customers is provide the quantity you need and deliver on time is. Thank you for visiting PlusOne Sports Technology! We have a professional sales team. They have very good language and communication skills and are exceptionally friendly. They are proficient in product knowledge and understand product development. They can quickly answer customer’s questions and efficiently record the details of their request and accurately convey to our manufacturer. They have the ability to offer good advice to customers on product development and product recommendations.